There’s yet another new Southwest credit card being offered, known as the “Rapid Rewards Priority Credit Card,” which comes with some of the richest rewards yet. But it also features the highest annual fee on a Southwest card too, at a hefty $149 per year. Let’s learn more about this travel rewards credit card to determine if it’s a winner, or just another run-of-the-mill offering from credit card issuer Chase. First off, you can earn 65,000 Rapid Rewards points with this new card thanks to the 40k sign-up bonus for spending $1,000 in the first three months, and an additional 25,000 bonus points if you muster $15,000 in total spending in the first year. Once we factor in that $15,000 in spending, you’re looking at 80,000 Rapid Rewards points in total. That’s not far from earning the Southwest Companion Pass, which requires 110,000 points. If you combine this offer with the business version of the card that earns 60k bonus points, you can get well over the finish line. So if that’s your goal, and you have some big spending planned, this new credit card might be just the trick to get that Companion Pass in no time at all. The Rapid Rewards Priority Credit Card also comes with a $75 annual travel credit, which knocks down that $149 annual fee to just $74, assuming you actually use it. That puts it more in line with the Rapid Rewards Plus credit card, which charges a smaller $69 annual fee, but lacks the travel credit and other perks. Speaking of those other perks, you also get four upgraded boarding passes each year when they’re available. So if you want to sit in the front of the plane, you can do so for free up to four times per year. But upgraded boarding can apparently only be purchased at the departure gate or ticket counter on the day of travel. So you might still be sweating it while flying with Southwest. Once you make the purchase to snag boarding group A1-A15, it’ll be reimbursed back to your card. 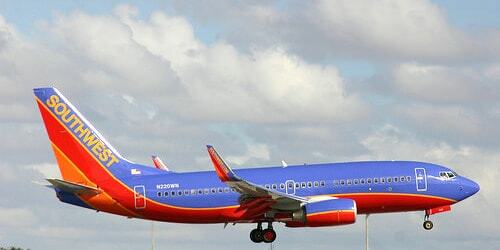 While on a Southwest flight, you can also get 20% back on purchases for things like Wi-Fi, drinks, movies, and more. And if you keep your card open after year one, you’ll earn 7,500 anniversary points each year as well, lessening the burden of that $149 annual fee. One semi-disappointing aspect to this new credit card is the fact that regular points-earning isn’t any better versus the Rapid Rewards Plus credit card. This means you can only earn 2 points per $1 spent on Southwest, along with Rapid Rewards hotel and car rental partner purchases. For all other eligible purchases, you earn just one point per dollar spent. In other words, it’s hard to earn a lot of points outside the opening bonus and the anniversary bonus. This is one of the major downsides to these credit cards. They basically make it impossible to accrue a large amount of points via everyday spending. Even if you spend a ton of money annually, you’d be better served putting on other credit cards, namely those that earn 2% back on every purchase, or on cards with 5% back rotating categories. If you happen to fly Southwest a lot, one bright spot is that you earn 1,500 tier qualifying points (TQPs) for every $10,000 in purchases made with the card, up to $100,000 in purchases annually. So it’s possible to earn up to 15,000 TQP each year toward A-List and A-List Preferred status. Lastly, the Rapid Rewards Priority Credit Card does not charge foreign transaction fees, which differs from their other consumer card, but is in line with their business card. As I’ve mentioned before, you can use Rapid Rewards points for Amazon gift cards, so even if you have no intention of flying Southwest, this bonus offer could net you $800 in Amazon currency. That’s not a bad haul for the regular Amazon shopper, as it’s basically equivalent to $800 in cash. Of course, to maximize the benefits of this card you’ll want to at least use the $75 annual Southwest travel credit to offset the annual fee.